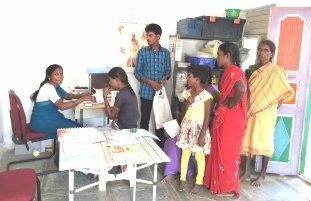 Our mission: IRHS strives to provide quality preventive and curative healthcare to some of the poorest rural communities in Telangana, south India. Drought-prone rural Mahbubnagar District is one of the poorest regions in India. With high mortality and morbidity rates and lack of access to basic health care, this large district ranks as one of the poorest in India on all measures: health, agriculture, education and literacy. Due to poverty-related illnesses coupled with lack of information and ability to travel, villagers find themselves stranded and helpless. We firmly believe that poor people should not lose their lives because of problems that are easily preventable, or treatable with modern medicine and surgery. IRHS runs two primary healthcare clinics in remote areas: both clinics are run by local people trained as paramedics and health care workers. IRHS provides preventative care through several initiatives. 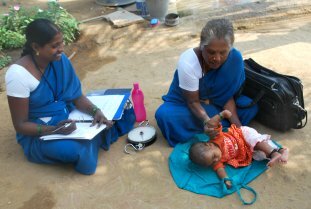 Our clinics distribute low cost medicine and health care workers make home visits to vulnerable women and preschool children. A cancer screening project based in the district hospital diagnoses pre-cancerous lesions and treats those which are positive. IRHS has also developed a unique rural to urban referral system. 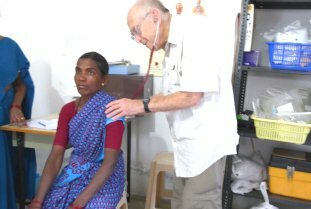 This pioneering referral/ support network is equipped with trained counsellors at Mahatma Gandhi Bus Station and important government and private hospitals to help thousands of rural people access vital, often life-saving medical treatment every year. IRHS is entirely dependant on donations and small grants from individuals and organisations. Even a little can make a big difference and go further than you think. IRHS uses modern management techniques to make sure we are cost effective. All donations are tax deductible in the US, UK and India. By supporting IRHS you can make a tangible difference in the lives of some of India's poorest. Volunteers, both medical and non-medical, are highly valued by IRHS and are a vital part of what makes us dynamic. Without the hard work and dedication of volunteers we would not be where we are today. Please get in touch to discuss how you could use your skills and experience to help us.